What do you get when you mix pure, unabashed fun with creativity and a relentless entrepreneurial spirit? 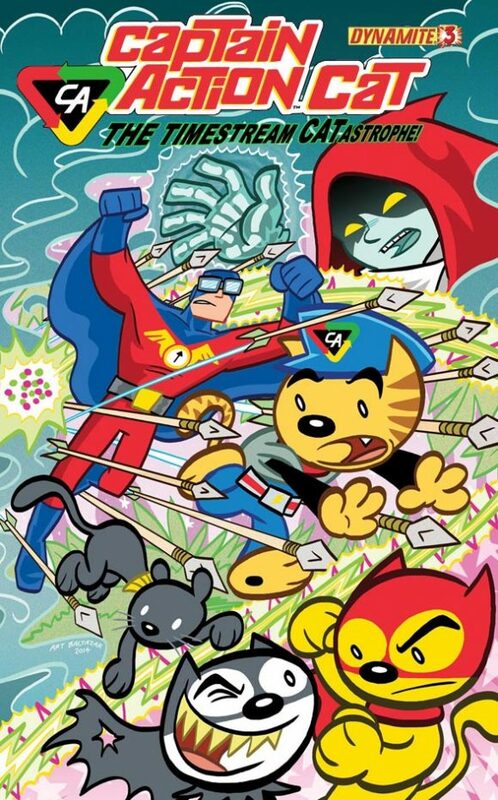 The answer’s simple; Art Baltazar and Franco! I was a frequent attendee of Chicago’s C2E2 show. It was fascinating to be a part of it all and to watch it grow. And during one of those early years of the show, Aw Yeah Comics in Skokie (a suburb of Chicago) invited me to a fantastic post-show party at their store. Their shop — with bright colors, wide-open spaces and couches — brought a breath of fresh air to downtown Skokie. 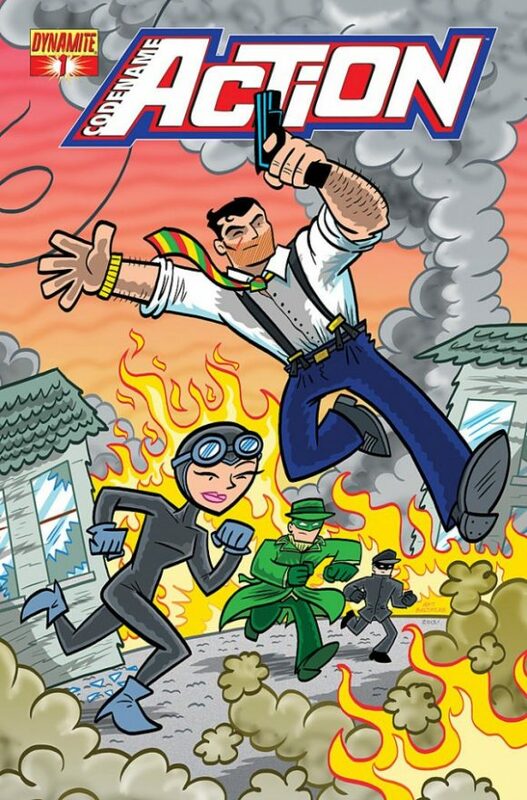 In fact, I remember chatting up a woman from the local Chamber of Commerce who talked about how important Aw Yeah Comics was to the revitalization of their downtown. 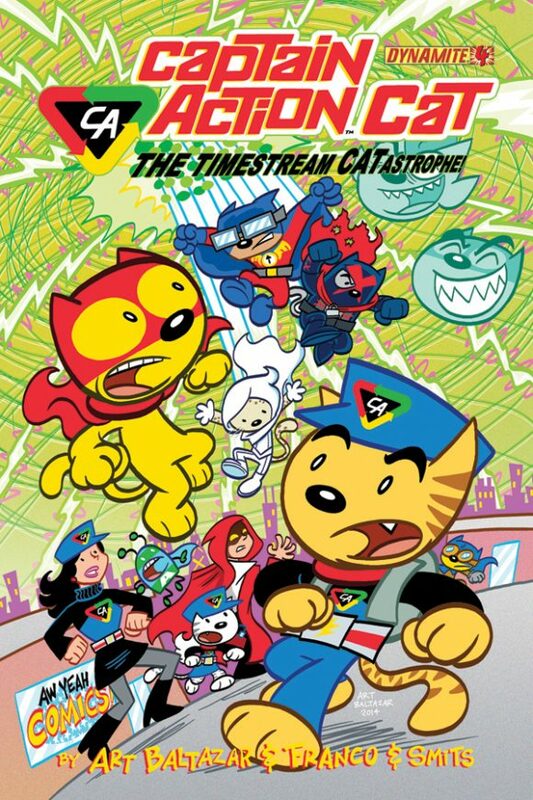 The comic shop was created and owned by Art Baltazar and Franco. It was great to get to know them. They, along with stalwart compadres, Marc Hammond and Chris “Zod” Smits, were the consummate hosts. And thus began our professional friendship and relationship with these fine gents. You may know their work from Tiny Titans, Action Cat or Itty Bitty Hellboy. 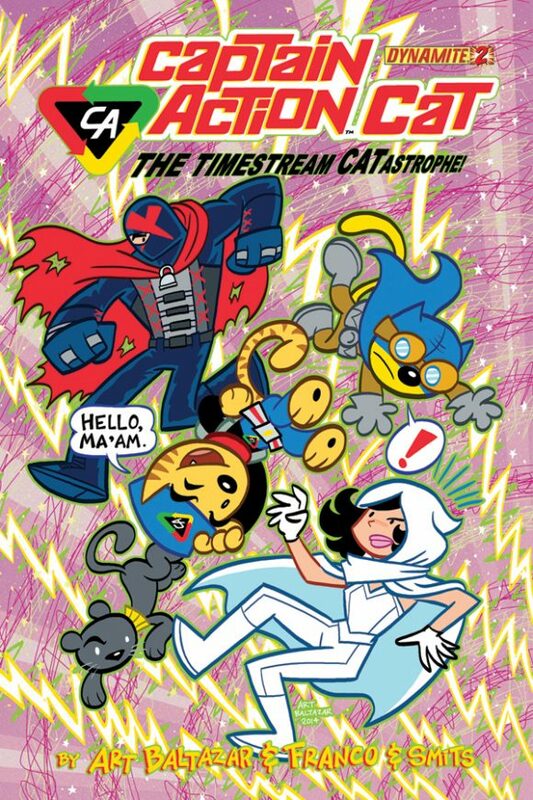 We’ve had a ball working with them on Captain Action’s Codename: Action covers and the oh-so-much fun Captain Action Cat. The backstory for that one was typical, and typically nutty when it comes to these guys. Art said “Hey, I have an idea for a series. 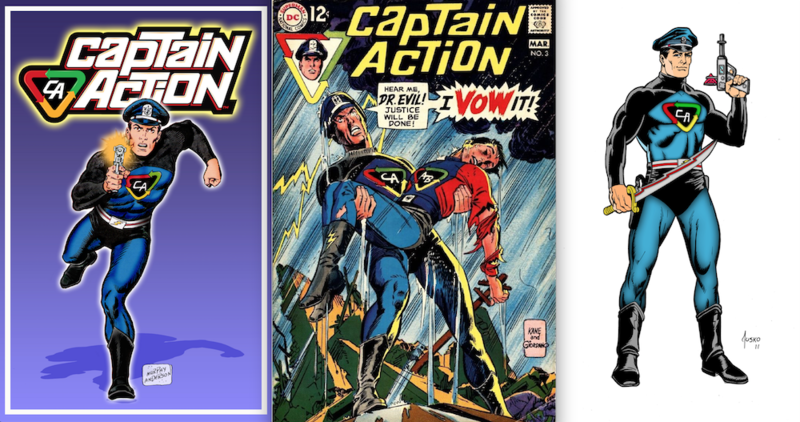 It’s Captain Action — but he’s a cat.” We had no idea what that meant but said… sure! 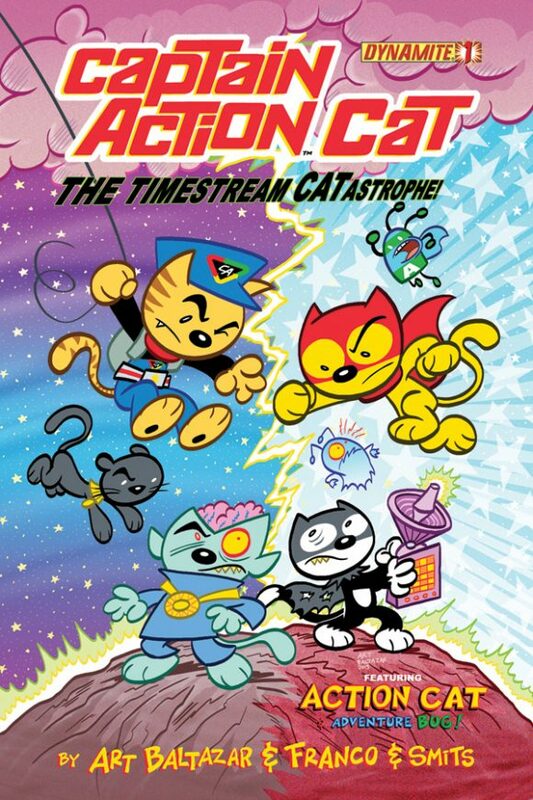 And nine months later, we were blessed with beautiful new little mini series, Captain Action Cat! 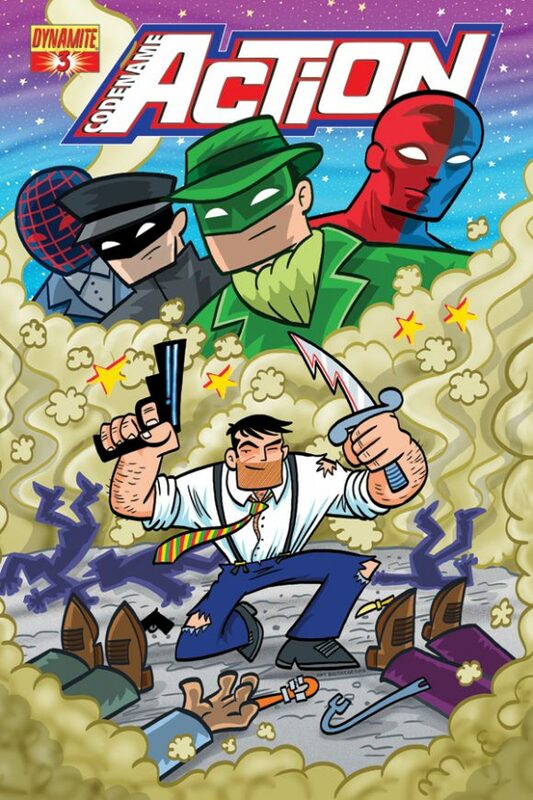 NEXT WEEK: Jerry Ordway. Click here.